Navarra export catalogue - Bodegas Irache, S.L. Bodegas Irache dates from 1891 . Family winery that combines tradition with the modern methods of production and bottling. Placed in the way to St. James Wine Fountain, opened to the public seven days per week. Premises: ageing cellar with a capacity for 10.000 oak barrels of 225 litres. 23 stainless steel deposit with a capacity of 70.000 litres. Wine museum. Bottling Plant. Production: over 10 million litres per year. 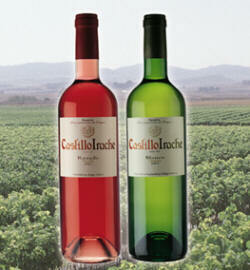 Products:red wine( young, crianza, reserva and gran reserva), white wine ( young and crianza) rose wines. Relevant information 2002 year: 8 prizes awarded ( 7 of them International prizes) to 5 of our wines. 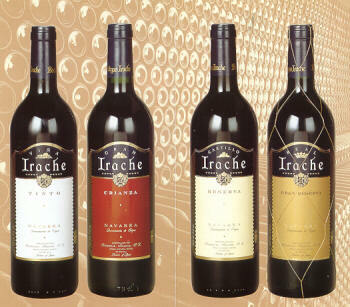 Our Gran Irache 98 has been the wine with most awards.